This pictorial is not about oil change, please visit our oil change page for a full oil & filter change pictorial. 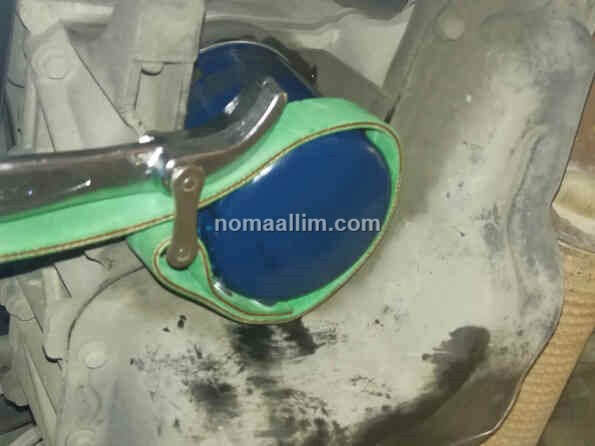 This pictorial covers the metal body filters that are dismantled by a special oil filter wrench. For paper filters fitting in reusable plastic housings, please visit our oil change page for replacement. Be careful not to touch any hot part of the engine, or the body of the filter itself. Wear gloves as used oil can cause skin irritation. NOTE: The below pictures show a 1.2VTi EB2 PSA Engine but all oil filters do fit the same way. 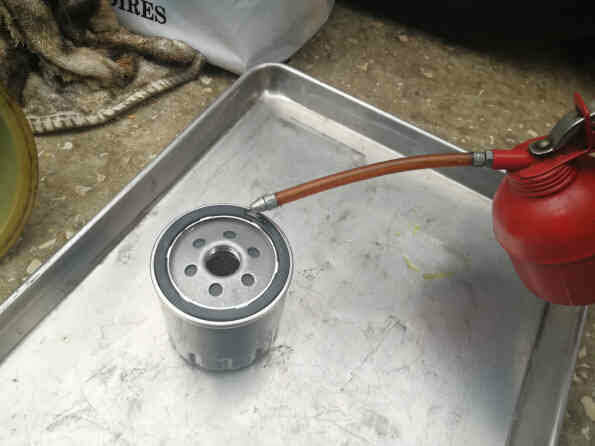 Easiness of access to the oil filter is somehow different between engines and vehicles which requires the purchase and use of different oil filter wrenches of different types. 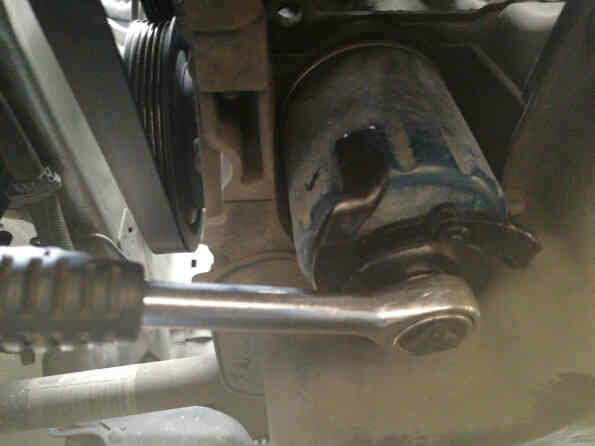 Never remove an oil filter before draining completely the engine oil. 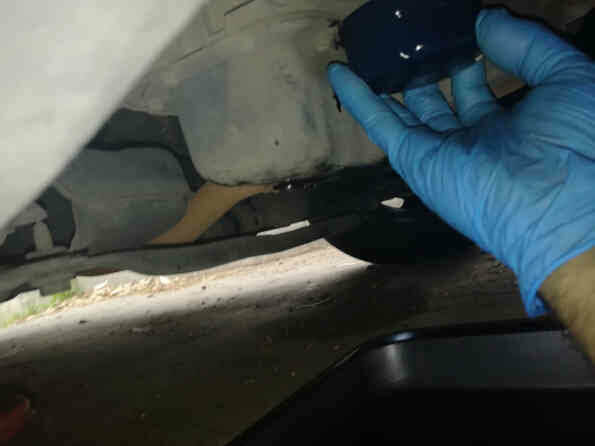 See our oil change pictorial for oil draining. Oil filters are difficult to unscrew and very easy to refit. For this reason, the best tool for removing an oil filter is this ratchet oil filter tool that only works for unscrewing a filter. The three legs get away from each other when turning the ratchet handle clockwise and on the contrary, get closer to adapt to a smaller diameter when turning counter-clockwise. This lets the legs "catch" the filter for unscrewing as shown in the picture to the right. You can force as much as needed since you do not have to worry about damaging the body of the old filter. This is the reason why such tool cannot be used for tightening the new oil filter. Place a metal plate below your hands when removing the oil filter. Move it vertically and put it in the plate. ​Dispose it along with the used oil. Apply a few drops of motor oil to the oil filter ring seal and spread them all around the seal with your finger. Screw the new filter by hand until contact. 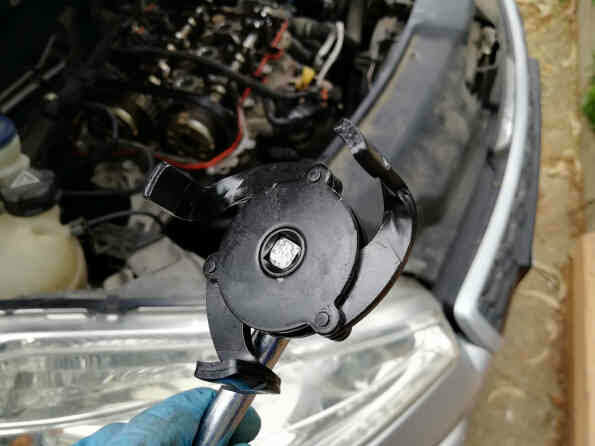 ​Use a belt oil filter wrench to tighten by 1/8 of a turn after contact.